The Chronicle of Cultural Misandry: Despite Women and Girls having Most Federal Grants, The University of Washington Offers Female Students Hand Outs to Join STEM. Despite Women and Girls having Most Federal Grants, The University of Washington Offers Female Students Hand Outs to Join STEM. 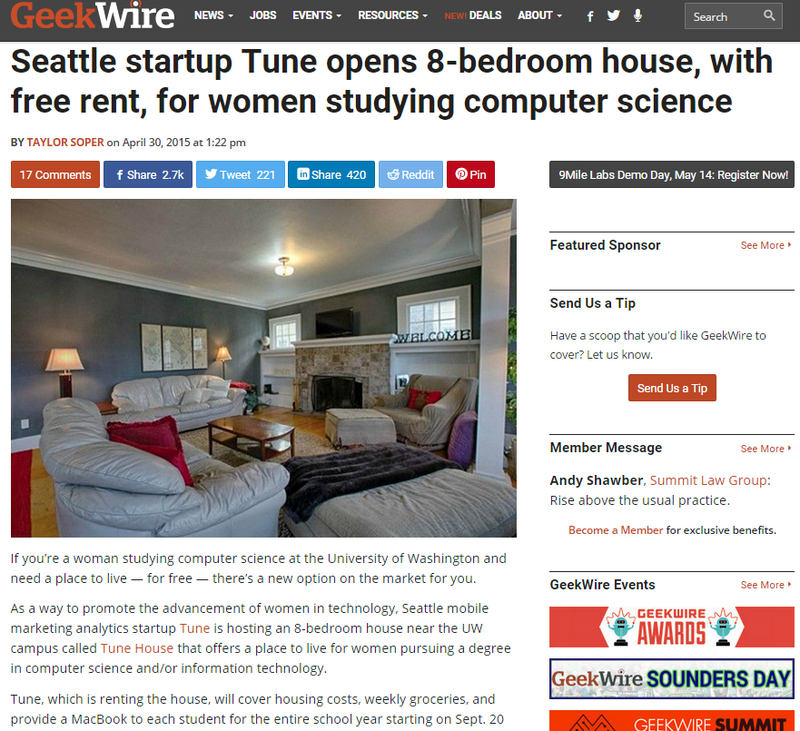 "If you’re a woman studying computer science at the University of Washington and need a place to live — for free — there’s a new option on the market for you.As a way to promote the advancement of women in technology, Seattle mobile marketing analytics startup Tune is hosting an 8-bedroom house near the UW campus called Tune House that offers a place to live for women pursuing a degree in computer science and/or information technology.Tune, which is renting the house, will cover housing costs, weekly groceries, and provide a MacBook to each student for the entire school year starting on Sept. 20 of this year through June 30, 2016."